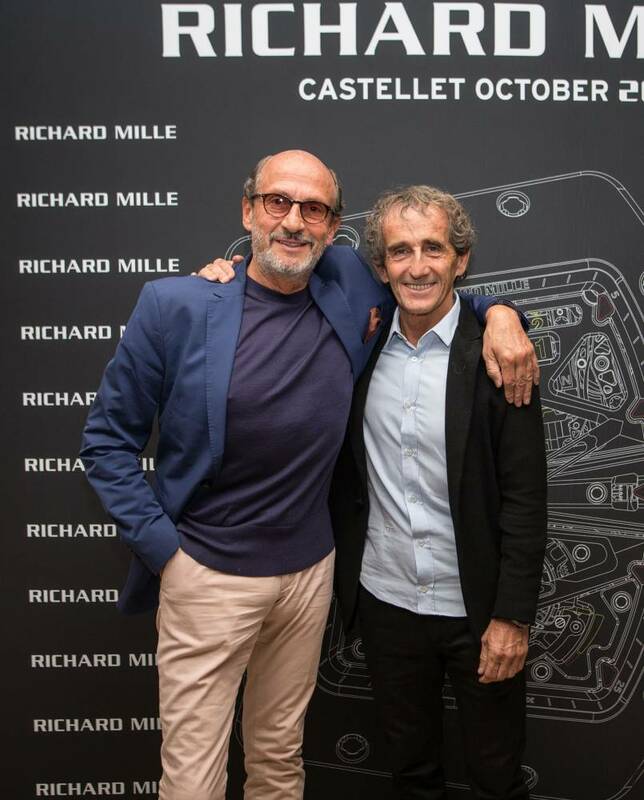 Sphere took pole position for the launch of the latest Richard Mille watch at Le Castellet Paul Ricard racetrack near Marseille. 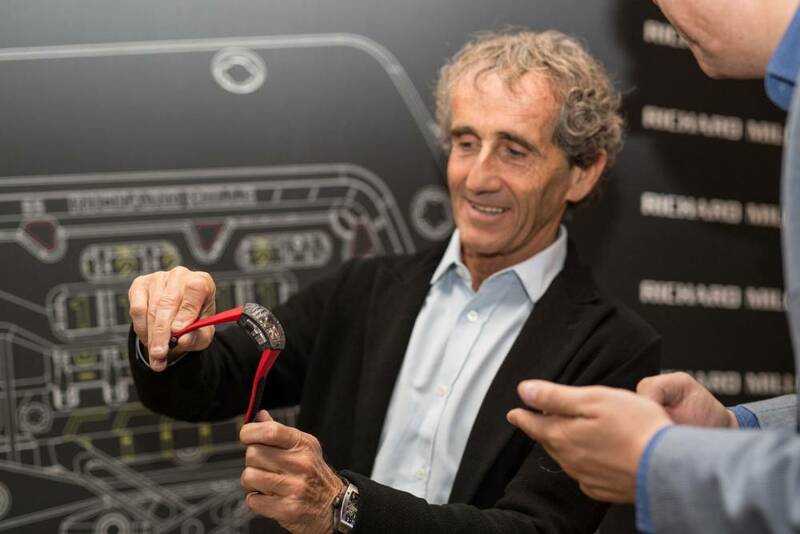 Guests were treated to laps of the famous circuit - which will host the French Grand Prix for the first time in 28 years in June next year - by four times Formula 1 winner Alain Prost. 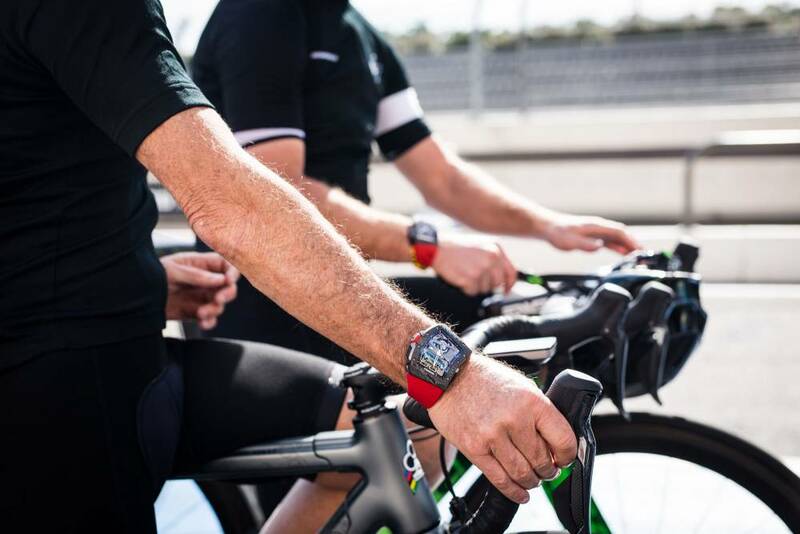 The new watch however is not aimed at the motor racing world, but high calibre cyclists. 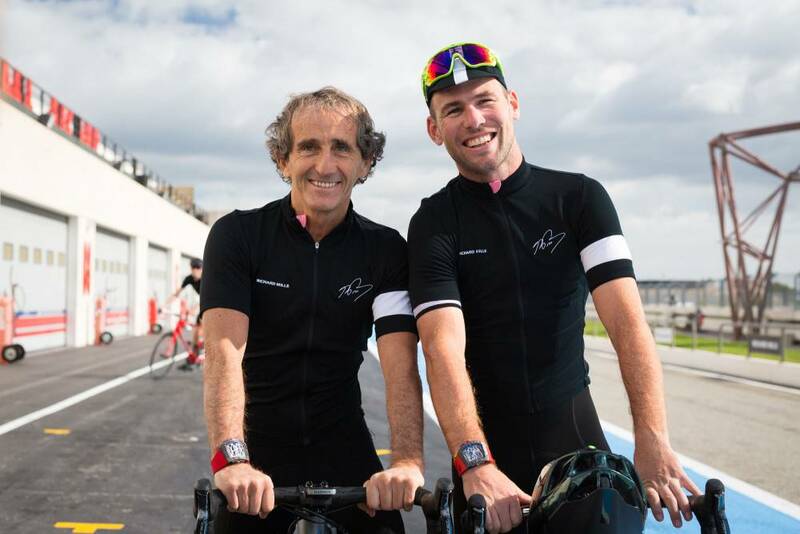 Also there was Olympian Mark Cavendish, who was there to show off his skills later around the track on sleek Colnago bikes, with those who dared trying to keep up in fetching customised Rapha lycra. The new watch is ergonomically designed to be worn on the right hand with a curved shape, to fit the wrist perfectly. A mixture of carbon TPT™ and titanium case, it is designed like many of Richard Mille’s watches, to be extremely robust - and withstand tumbles. Only 30 will be available worldwide with a price of £786,000.. Each buyer will also receive a made to measure Colnago bicycle in the brand’s colours. This is perhaps not a concern for the average weekend or commuter cyclist, but with the sport increasingly becoming a serious focus for many, the geeky image is being shaken off. Take the cycling clothing brand Rapha, with whom Richard Mille has collaborated on. With stores in prime spots in Spitalfields and Soho, it is on its way to being considered a fashion forward brand. Le Castellet is set in a bucolic part of Provence with views of the sparkling meditteranean beyond the rolling hills, and base for the event was the chic Hotel Du Castellet. With its manicured lawns, jaunty sculptures dotted around the tree-lined park, and recently renovated spa, it is a prime spot from which to explore - even if F1 is not on the agenda.